Recipe – Japanese-style cooked eggplant なすのめんつゆ煮 – Shell We Eat? 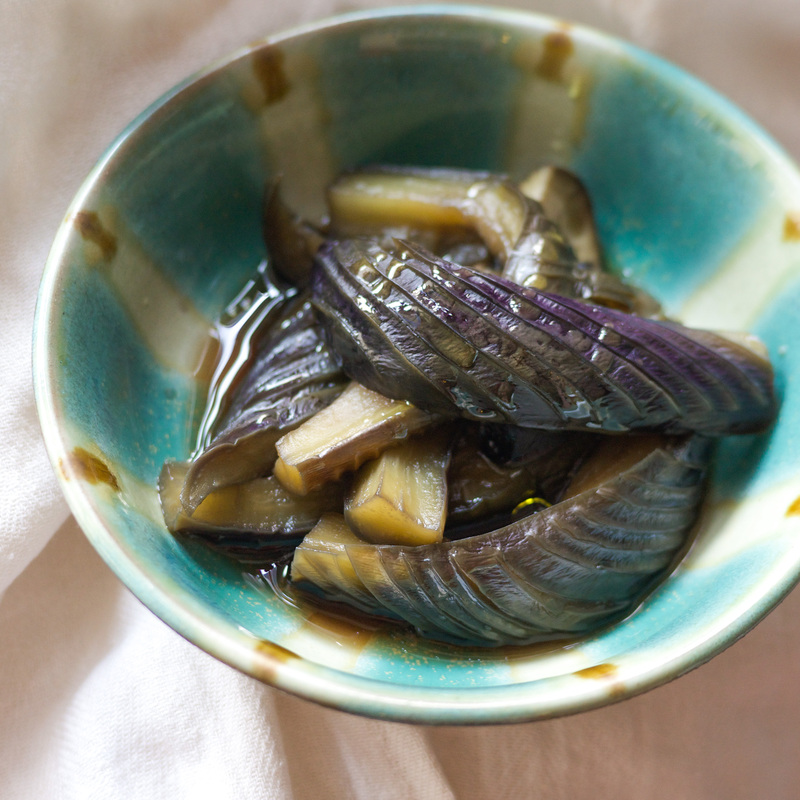 Ever since I tried the astonishingly delicious cold eggplant dish from Zamami Island (座間味島) in Okinawa, I have been searching for the best recipe for it so that I could try my best to replicate my favourite eggplant dish. I used my minimal self-learnt Japanese to understand the recipe. In fact, the recipe is the simplest ever. Cut the eggplant into smaller long strips: cut it half longitudinally, and divide the half into 2 to 3 long strips. Slash the eggplant diagonally with 5mm apart, this act increases the surface area for absorbing the soup, and of course for aesthetic need. 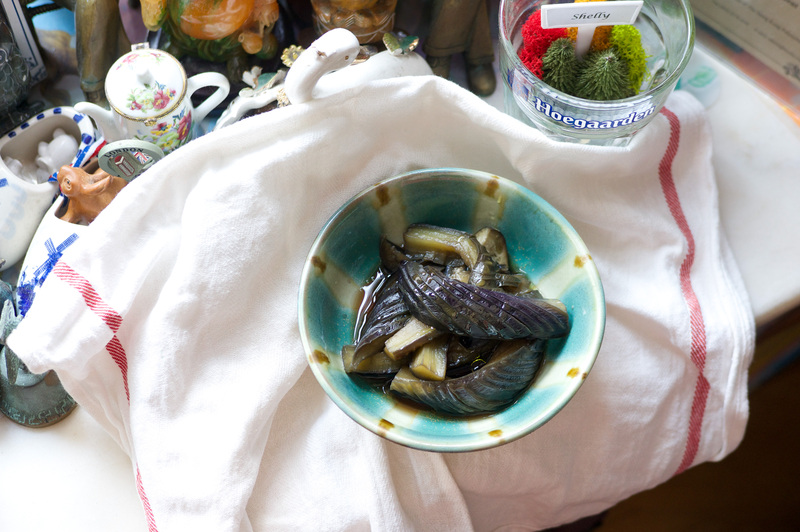 In a pot, pour in the liquid (water, soya sauce and mirin), slice of kombu, and add in all the cut eggplant. Turn on the fire and bring it to boil. Once it reaches the boiling point, reduce the heat and let it simmer for approximately 20 minutes. Note: the size of pot and intensity of your stove vary, so try to keep an eye on the eggplants, you may stop once the eggplant turns soft, do not overcook it. I prefer drizzle a spoonful of olive oil to serve. It is both nice to eat it hot or cool. I prefer first trying out a little, and store the rest in an air-tight container in the fridge for at most a week. The longer it stays in the fridge, the better it tastes! Next Next post: God of sushi 寿司の神 – can it lives up to its name?